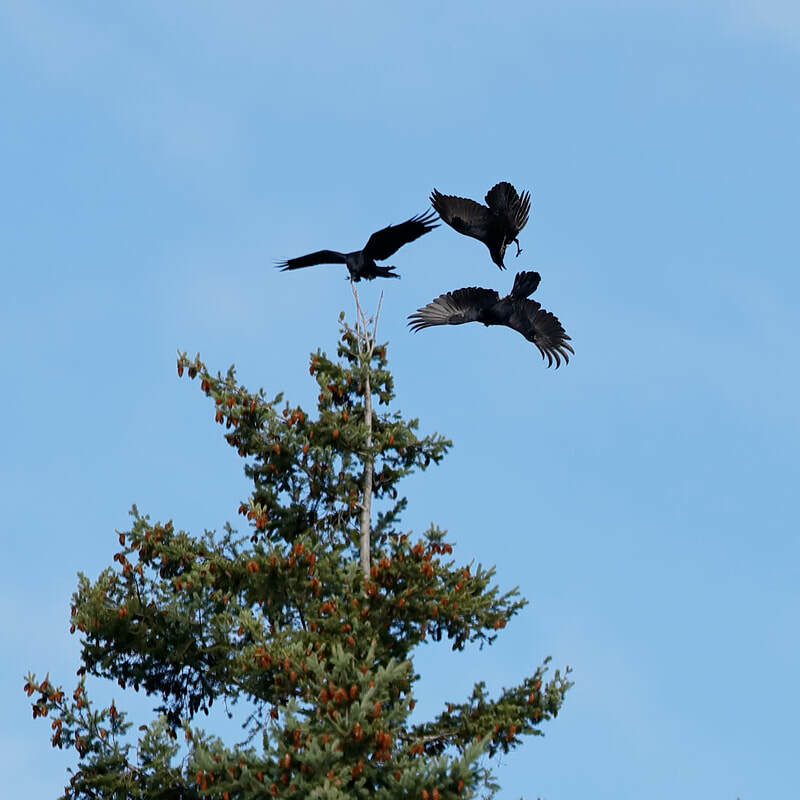 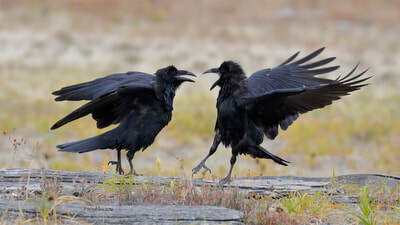 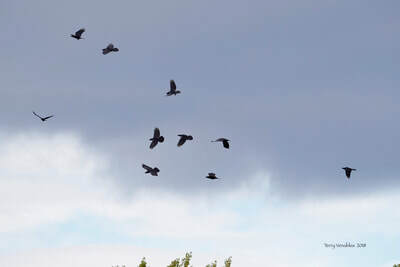 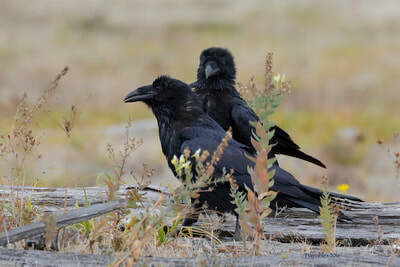 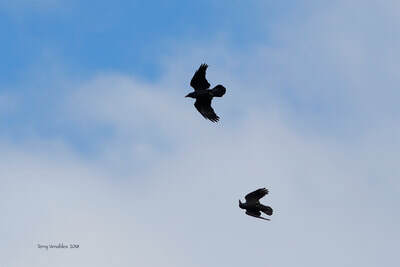 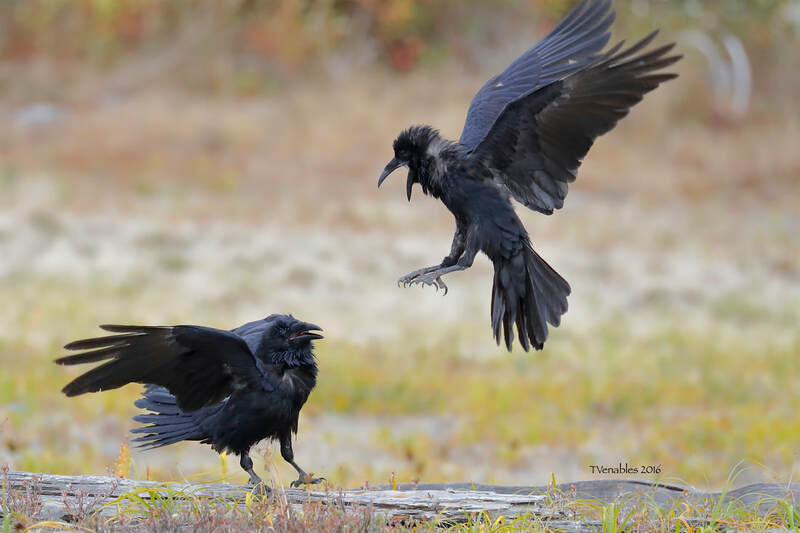 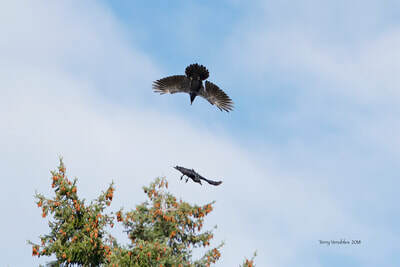 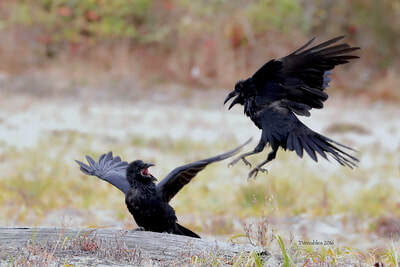 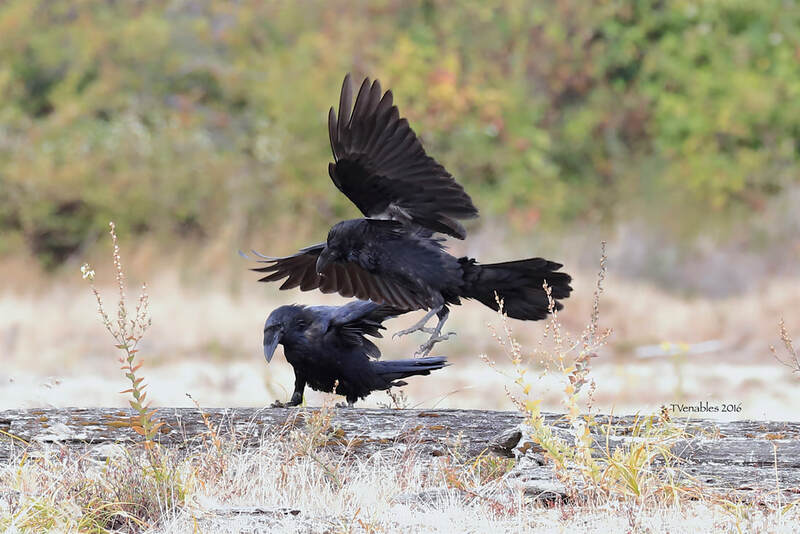 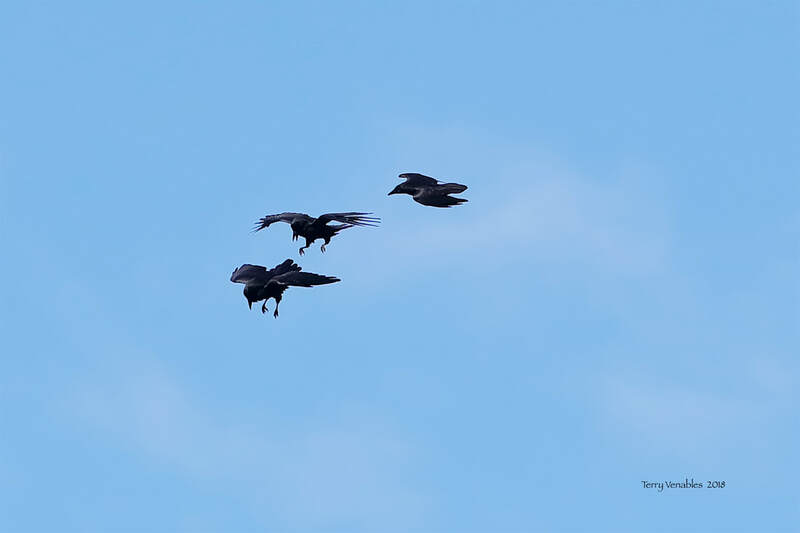 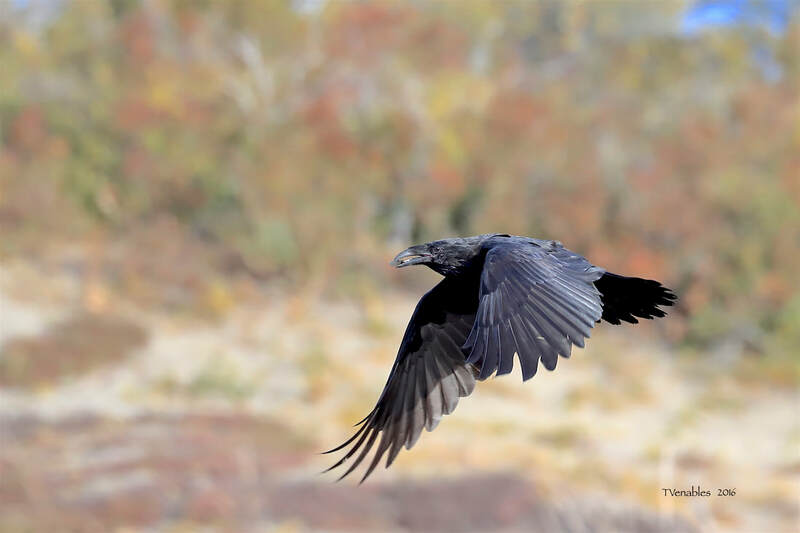 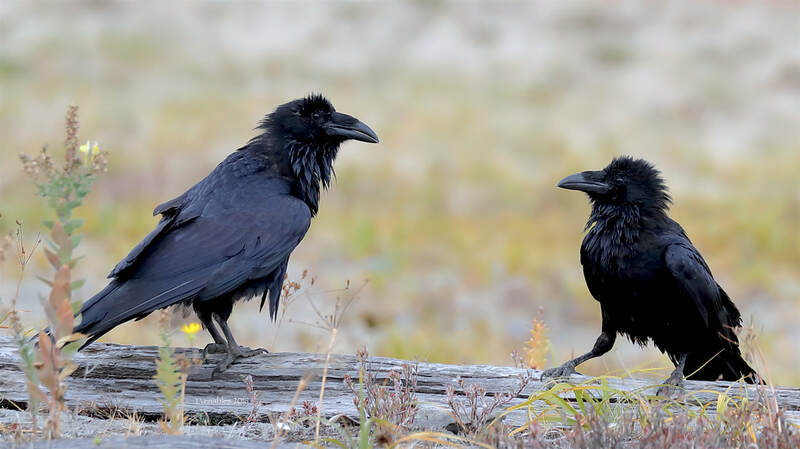 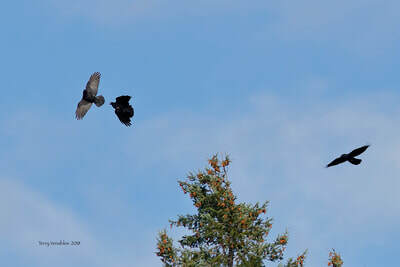 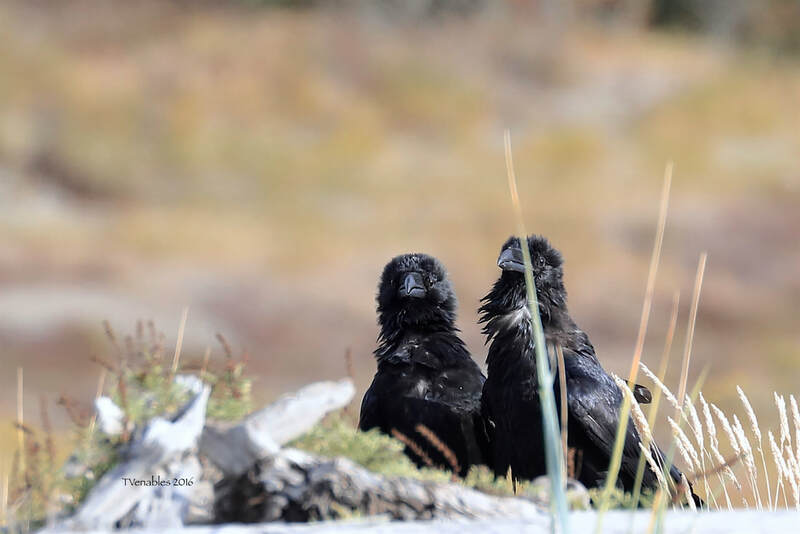 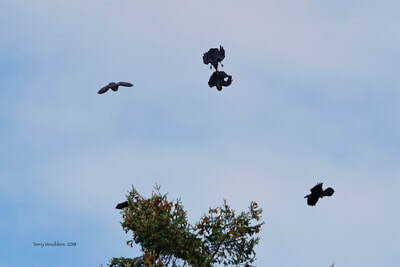 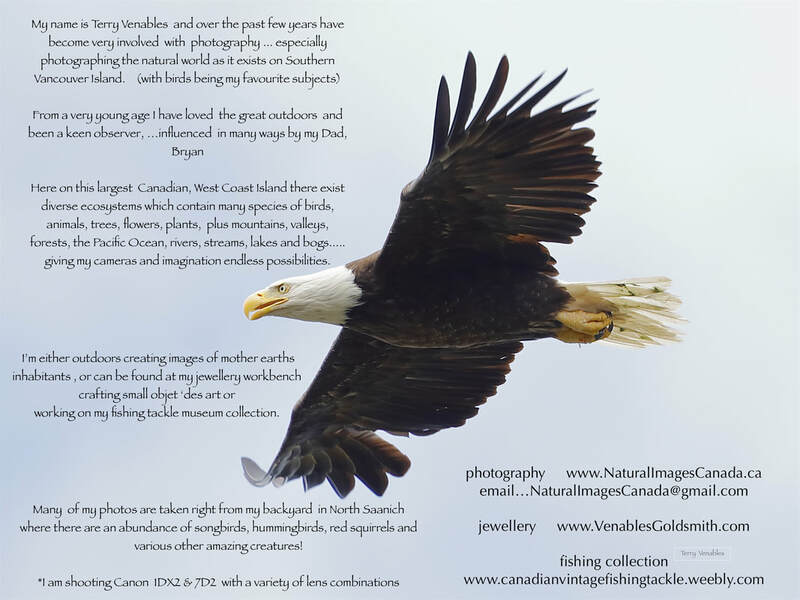 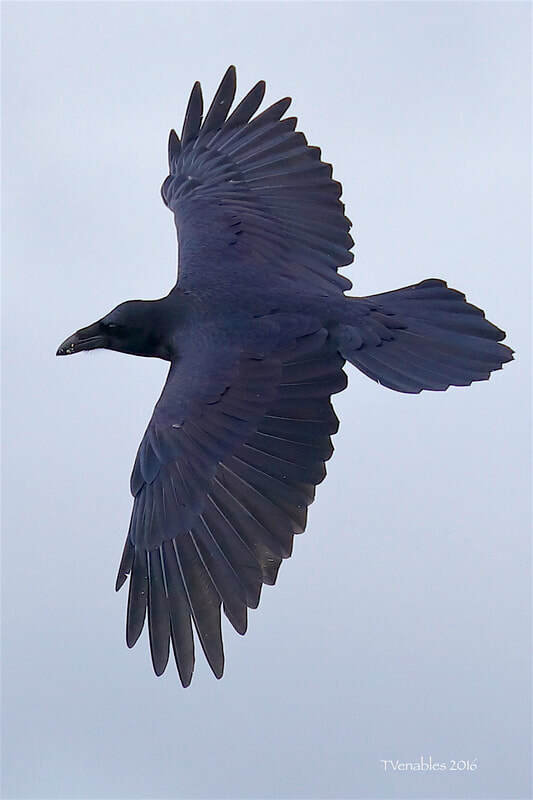 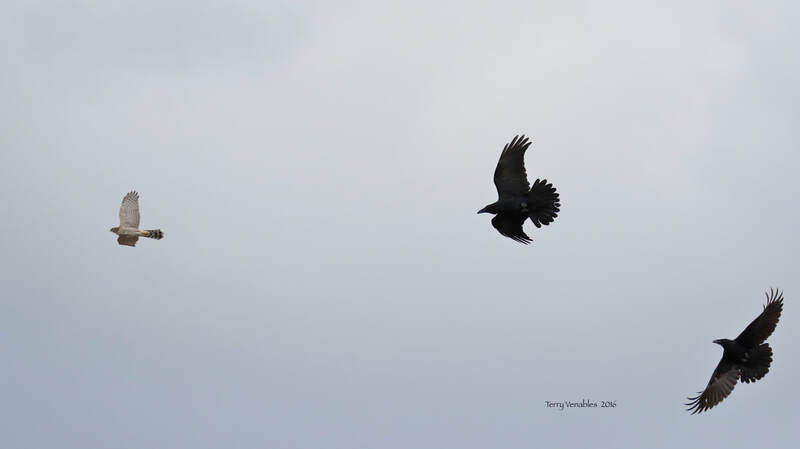 September 22 2018 ... From a windy afternoon in Central Saanich, I spent a remarkable 2 hours in a farm field photographing a group of 50 Ravens having a Fall Equinox celebration ... 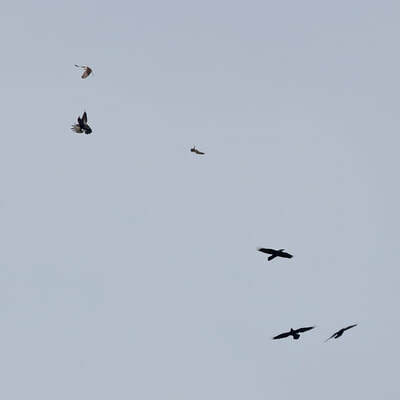 It was quite a spectacle! 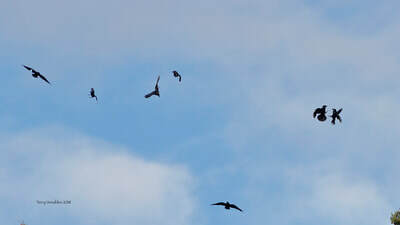 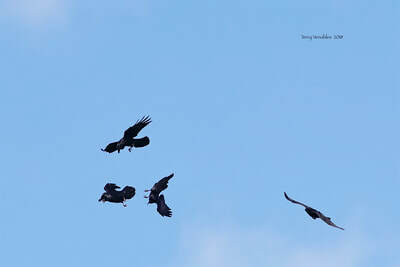 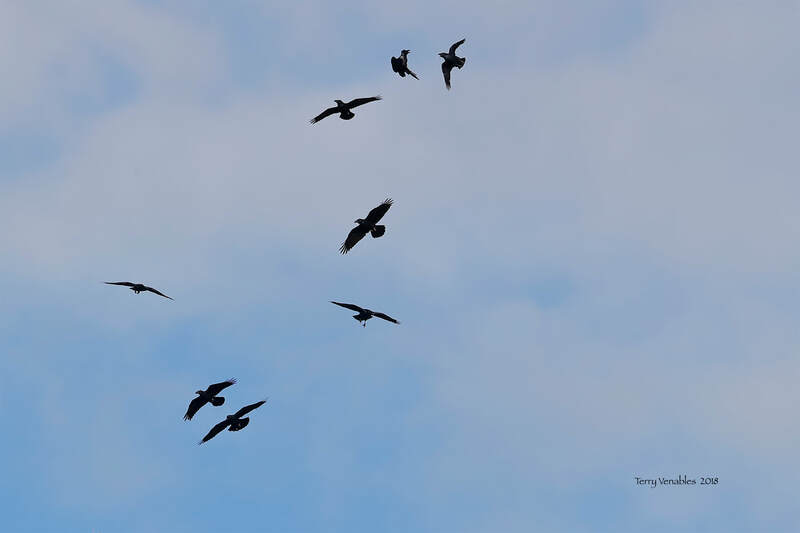 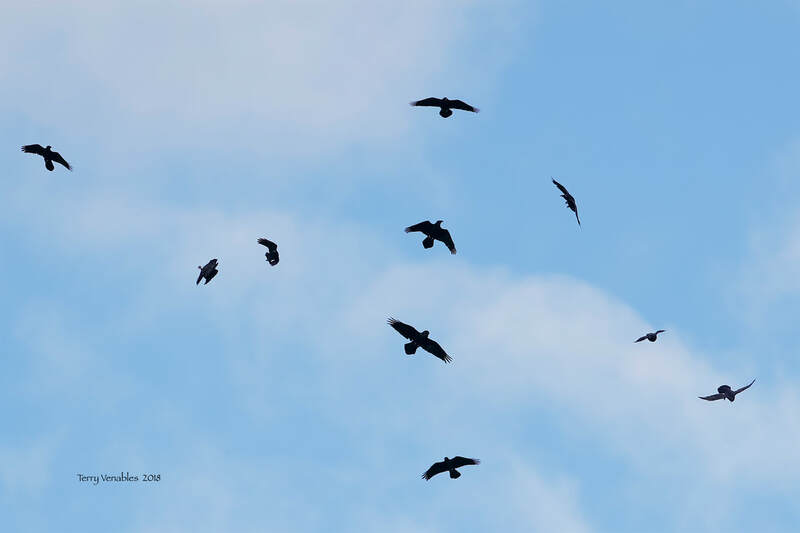 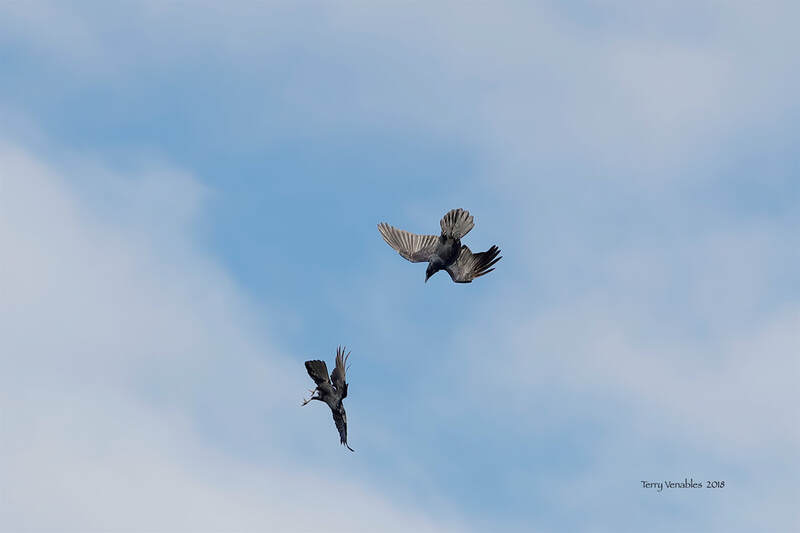 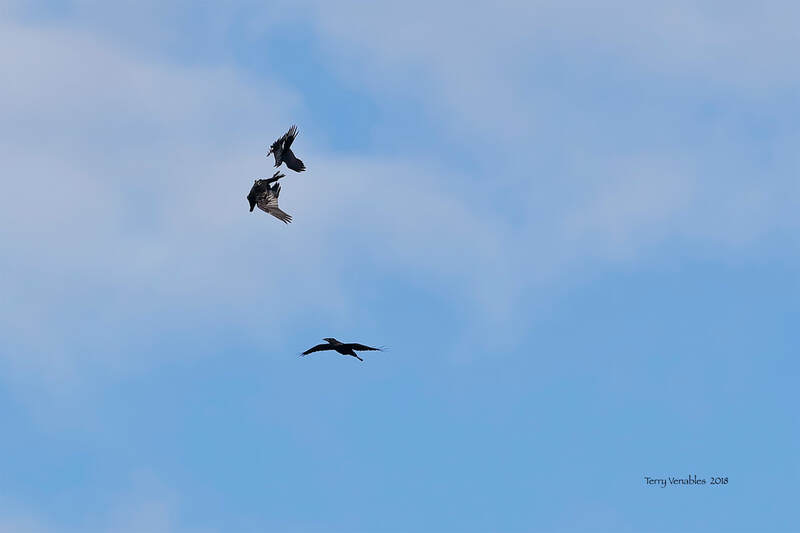 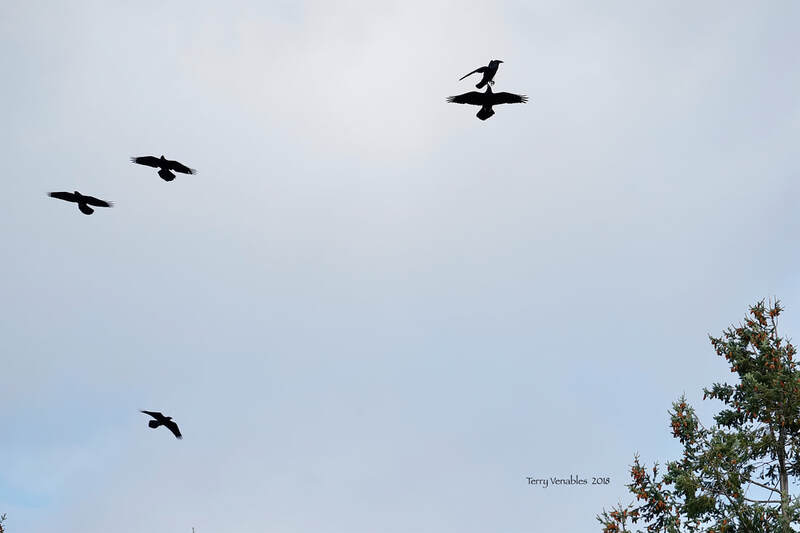 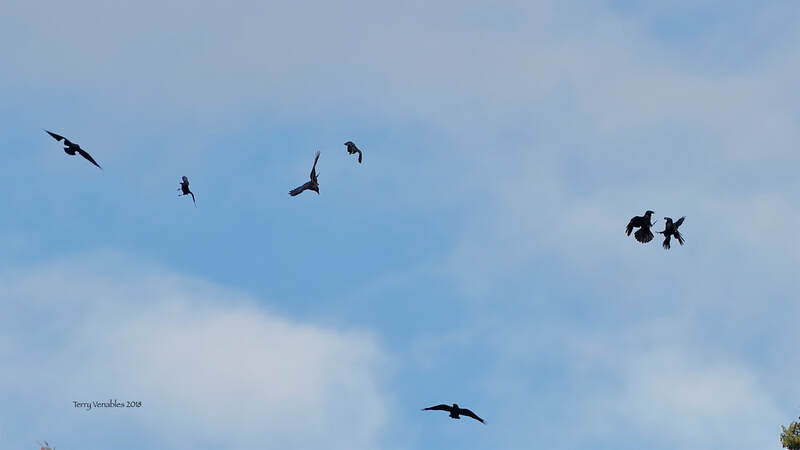 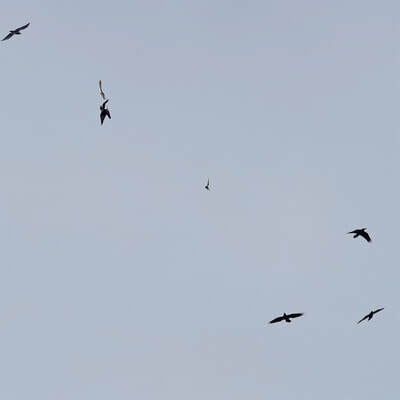 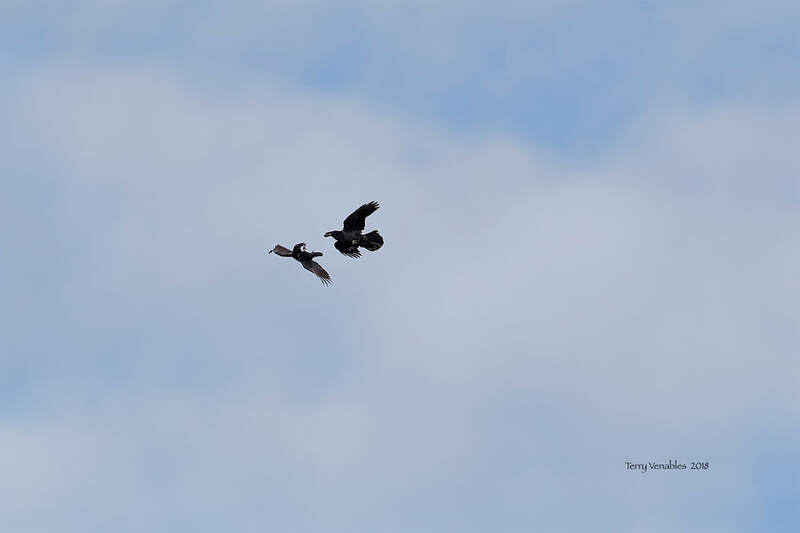 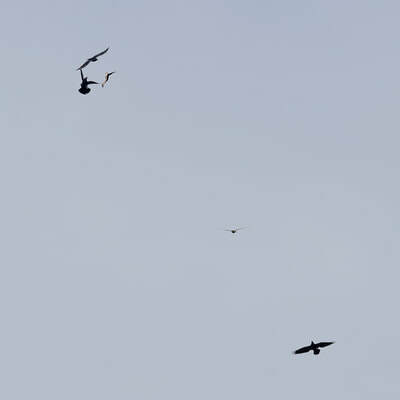 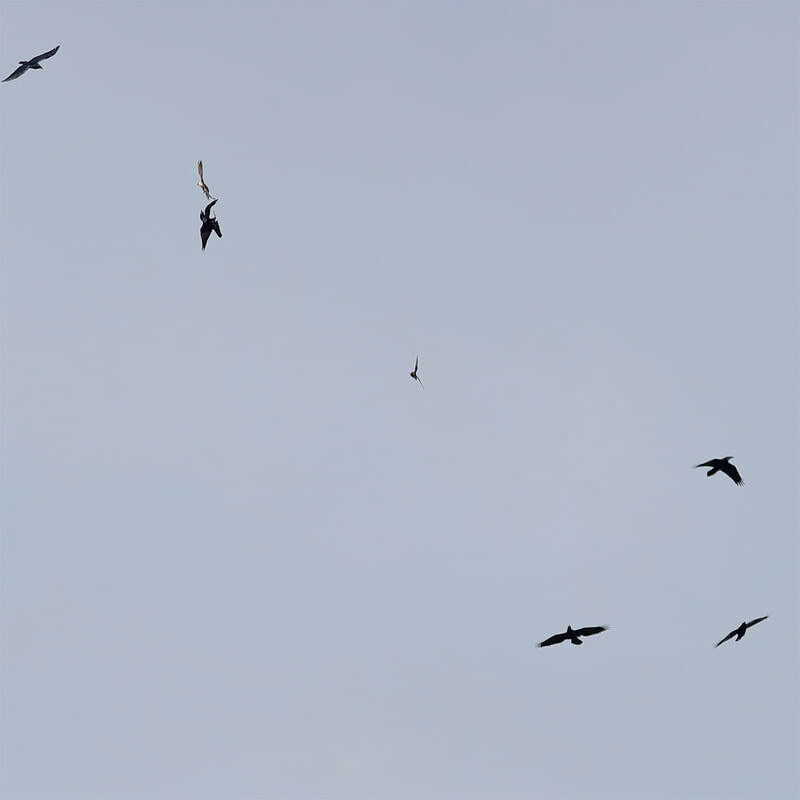 An afternoon I'll never forget ... A group of Ravens performed magic tricks for me and in the photo above had an interaction with a Peregrine Falcon! 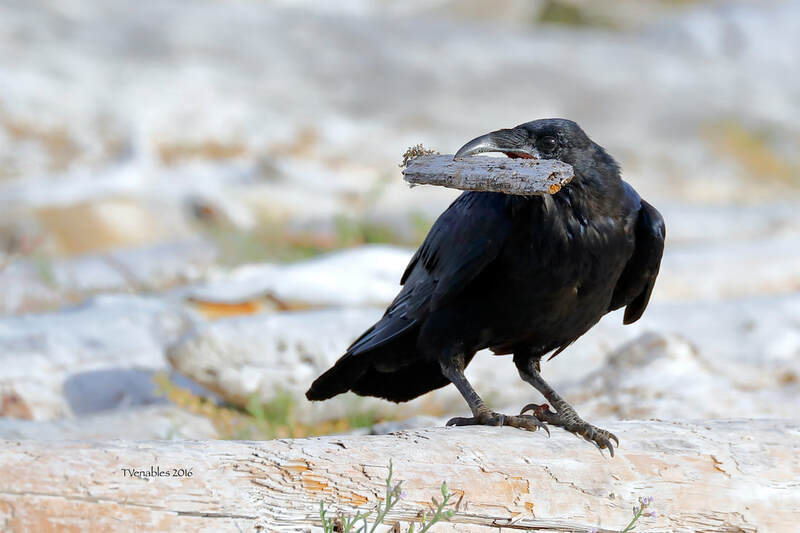 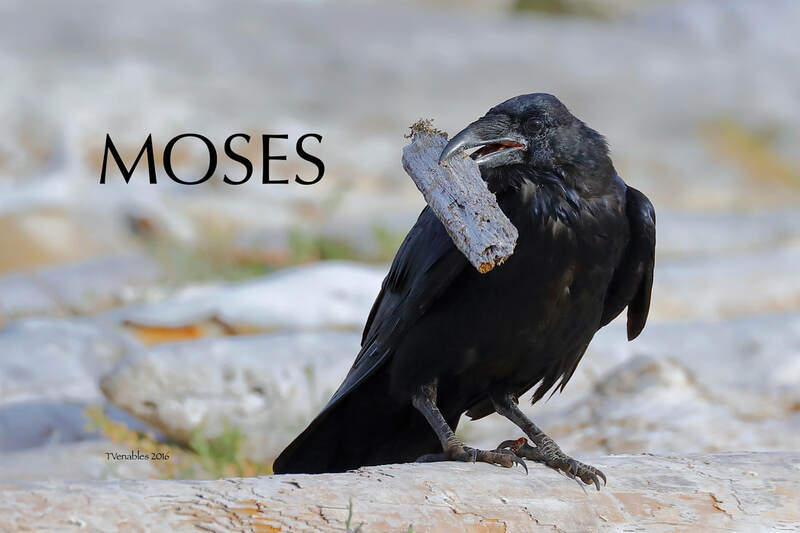 This Raven carried that small piece of drifwood around like it was his prize possession. 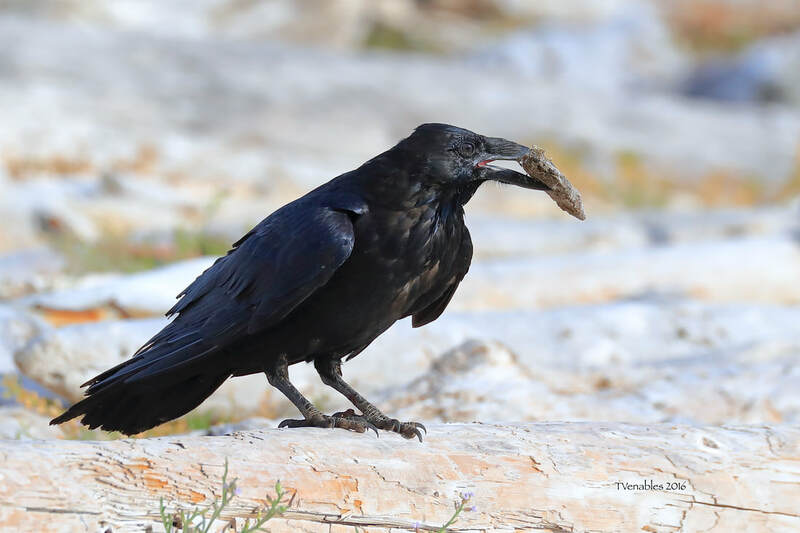 I watched him fly with it, drop it mid-air and catch it and also saw him using it as a shovel to dig for food in the sand!